Tintype. 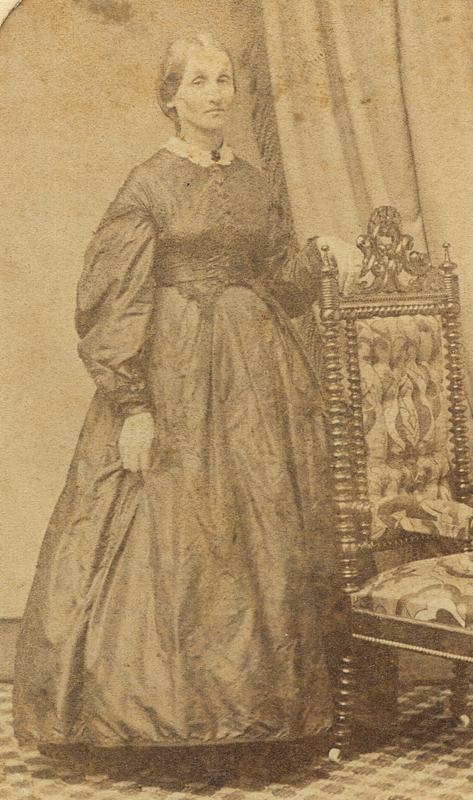 Delilah Gilmore (1818 - 1892), mother of Capt. 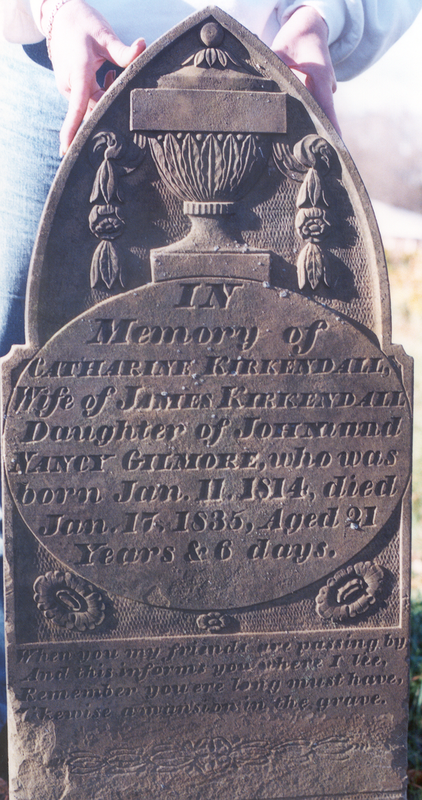 James W. Kirkendall, was apparently a "character". 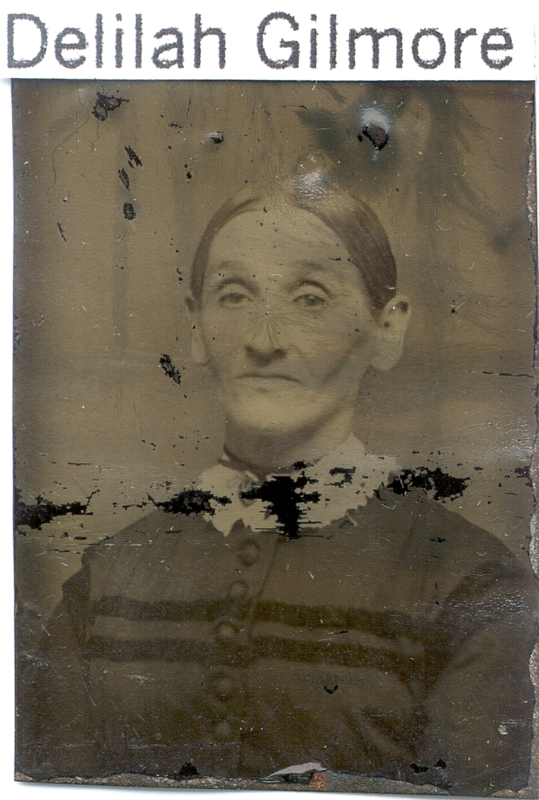 After her husband James Kirkendall's premature death in 1848, Delilah operated their store at Kirkersville, raised the four children left by James, and apparently, according to the 1860 census, bore another daughter, Alice, in 1855. 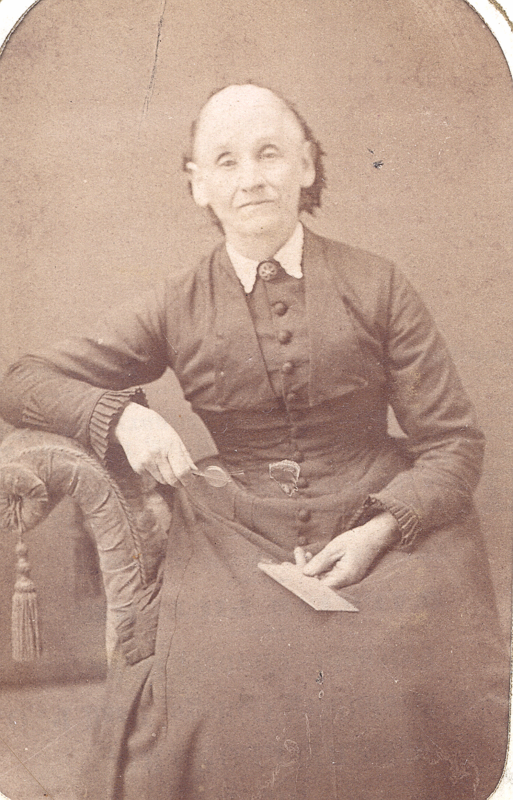 This daughter is shown as "Allie Kirkendall Pagett" in the old Kirkendall Bible. A carpenter named Eli Pagett is listed in the 1850 Kirkersville census, apparently single and living in the hotel close by the Kirkendall family -- one surmises that he was the father of Alice. See "The Mysterious Alice Pagett" in the Kirkendall images. At some point after the Civil War, Delilah migrated West -- she is found in the 1880 census in Red Willow County, Nebraska, unmarried, listed as "farming". She remarried a man surnamed Boyer, and died in 1892 in Denver. She apparently was not aware that she was a third cousin, once removed, of President Abraham Lincoln. Her great-great grandmother Anne Lincoln was the sister of Abraham Lincoln's great-grandfather John Lincoln. Delilah appears to have been a good looking woman. Delilah Gilmore was a third cousin, once removed, to President Lincoln. I have often thought there was a strong resemblance in the eyes. Here is a side-by-side comparison. Delilah passed away in Denver, Colorado, where her daughter Olive (Kirkendall) Lyons also lived. 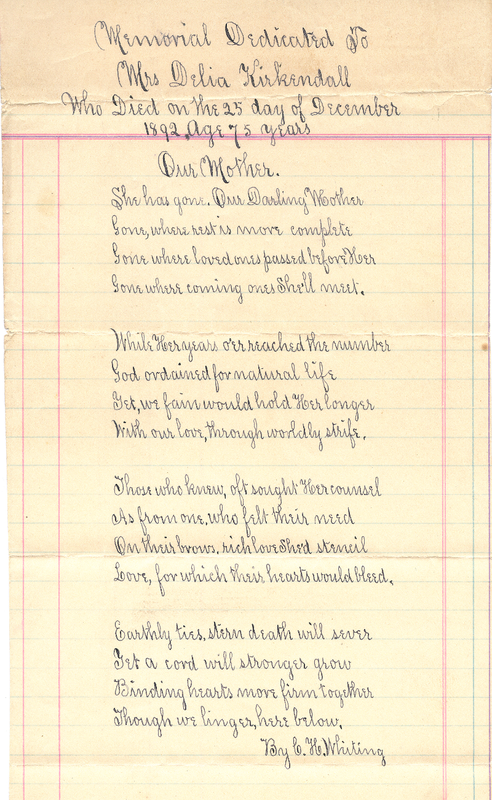 We do not know who the C. H. Whiting was, who wrote this memorial poem, or what his relationship to the family might have been. Delilah's sister Catherine Gilmore was the first wife of James Kirkendall. She is buried beside him, along with the infant daughter Mary. Their graves are on a small private lot at the corner of Refugee Road and S.R. 37, just north of Luray.